Rajaleidja* is a nationwide network offering free educational counselling services for parents, teachers and other educators of young people between the ages of 1.5 and 18. Educational counselling is a service in which a child’s learning or behavioral issues are identified and ways to support the child’s development are provided. Rajaleidja centers employ speech therapists, psychologists, social pedagogues and special educational teachers. Rajaleidja educational counselling services are organized by Innove. 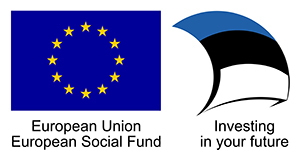 Our Tallinn headquarters accomodates the development centre of educational counselling services, which co-ordinates: quality assurance, development of methodology and e-services, training of professionals from regional guidance centres etc. When approaching us, you do not need to know which specialist the child or young adult needs – all centers have information workers, who will help you figure this out. Also, there is no need for a referral. Starting from January 1st, we kindly ask you to contact us via phone 735 0700. You can find contact details of our centre’s HERE. * Rajaleidja means pathfinder in Estonian – our goal is to help students find their path in the education system.